Considered by many to be the founding father of the UAE’s contemporary art scene, Hassan Shariff‘s work is increasingly concerned with the negative effects of consumerism. Hassan Sharif was born in 1951 and he lives and works in Dubai. He graduated from the Byam Shaw School of Art in London and published cartoons in newspapers and magazines through the 1970’s. He has played a significant role in the UAE arts’ scene, founding the Emirates Fine Art Society, and the Art Atelier in the Youth Theatre and Arts in Dubai. He has exhibited internationally, including Cuba, Holland, Egypt, and Germany. 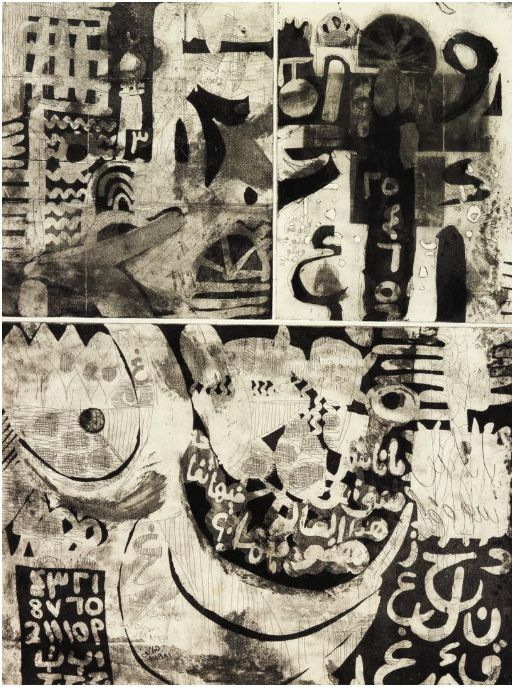 Closely associated with The Flying House – UAE, his works are in the permanent collection of Mathaf / Arab Museum of Modern Art in Doha, and in art museums in Sharjah and Holland. He has authored four books: New Art, Sharp Tools for Making Art, Concept of Art and Al Khamsa.